13% online buyer's premium applies, 3% discount for cash or good check payments. All items are sold ?AS IS? and all sales are final. Gavin Bros. Auctioneers LLC accepts cash, good checks, wire transfers, Master Card, Visa or Discover Credit Cards. Payment must be made prior to pickup. 5.5% WI Sales Tax Applies to all purchases. Shipping is not available for this auction. Pickup is Wednesday February 27th from 9AM to 3PM only. All items must be paid in full by February 27th. If payment is not made by February 27th your credit card on flie will be charged. If items are not picked up on February 27th they become the proeprty of the seller. Building is only leased until February 28th. There is no option for late pickup. Gavin Bros. Auctioneers LLC may attempt to describe the merchandise in advertising or on the internet, but makes no representations. In no event shall Gavin Bros. Auctioneers LLC be held responsible for having made or implied any warranty of merchantability or fitness for a particular purpose. Bidder shall be the sole judge of value. Bidders who bid off site and are not present for the preview understand and acknowledge that they may not be able to inspect an item as well as if they examined it in person. It is the bidder?s responsibility to determine condition, age, genuineness, value or any other determinative factor. Should a dispute arise between Gavin Bros. Auctioneers LLC and bidder, Bidder waives any right to a trial or hearing in a court of law and agrees to settle the dispute through arbitration in Sauk County, Wisconsin. Bidder further agrees that under no circumstances will he/she initiate a charge back on his/her credit card. Bidder agrees that everything is sold as is and that they may not return any item they purchase. 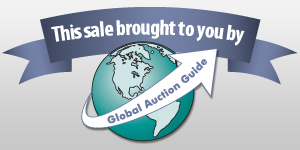 Gavin Bros. Auctioneers LLC is providing internet bidding as a service to bidder. Bidder acknowledges and understands that this service may or may not function correctly the day of auction. Under no circumstances shall bidder have any kind of claim against Gavin Bros. Auctioneers LLC. or anyone else if the internet service fails to work correctly before or during live auction. Gavin Bros. Auctioneers LLC will not be responsible for any missed bids from any source. Gavin Bros. Auctioneers LLC reserves the right to withdraw or re-catalog any item on this auction. Announcement:Information contained herein is presented on behalf of the seller. Gavin Bros. Auctioneers LLC, agent for the seller, cannot guarantee the information to be correct or assume the liabilities for errors and omissions. All lines drawn on maps are approximate. Buyers should verify the information to their own satisfaction. Any announcements made from the auction block on day of auction will take precedence over any matter of print and will be final. Set of 4 leather duffle bags 1-25 " 1-21" 1-16"